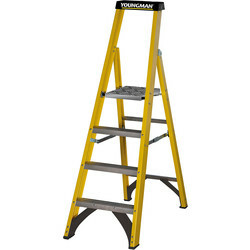 Discover a range of work platforms for your workshop or on the job to give greater and easier access to places that are hard to reach. 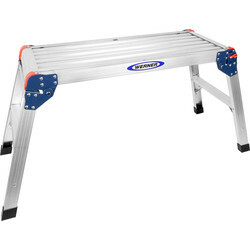 We stock a selection of work and professional platforms by brands such as Werner, with maximum static loads up to 150kg. 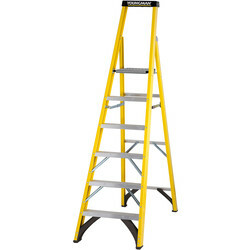 View the aluminium work platform that's lightweight and the ideal working height for ceilings and tall windows. 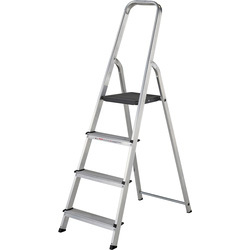 It conforms to EN131 safety regulations and is available in two sizes including 800 x 300 x 600mm, and 700 x 300 x 495mm. 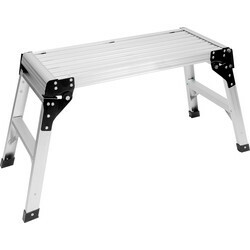 The professional Werner work platform is a low-level platform available in 700 x 300 x 510mm. 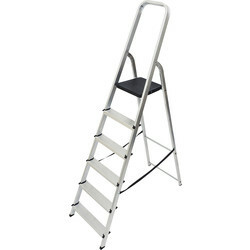 The duty rating safe load is 110kg with a maximum static load of 150kg. 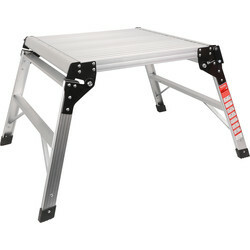 Both are folding work platforms that are easily portable on the job. Spend over £10 online for free delivery or click and collect from your closest branch.